According to Chicken Salad Chick's founder Stacy Brown, Chicken Salad Chick is a place all chicken salad lovers can find something they enjoy. With 15 different chicken salads to choose from, there is something for every palate. So now that you know about us, come see what kind of lunch a computer software salesman and a stay-at-home mom have whipped up for you. It's pretty tasty! Chicken Salad Chick makes its salads fresh every day, including flavors such as traditional, fruit and nut, savory and spicy. It also offers sides, soups and cookies to go along with the salad. The chicken salad can be served on a bed of lettuce or as a sandwich. The store also serves deli sandwiches. Customers can order food to go or sit down inside to eat. Chicken Salad Chick will also cater and deliver large lunch orders. 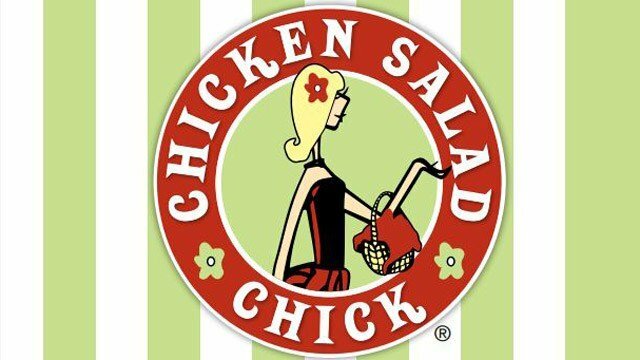 Chicken Salad Chick is scheduled to open August 2 at 4088 Watson Blvd., according to a newly created Facebook page for the restaurant. Join the team members at Chicken Salad Chick for their highly anticipated Grand Opening of Chicken Salad Chick Warner Robins! Tuesday: FREE CHICKEN SALAD FOR A YEAR! First guest receives a free pound of chicken salad per week, next 99 guests receive a free pound of chicken salad per month! Wednesday: FREE CHICK TERVIS TUMBLER! First 50 guests to purchase a pound of chicken salad with an Original Chick will receive a limited edition Chick Tervis Tumbler! Thursday: FREE COOZIE! First 100 guests receive a free Chicken Salad Chick coozie! Friday: FREE SCOOP FRIDAY! First 100 guests to purchase the Original Chick will receive a free scoop of Classic Carol. Saturday: BUY 2 POUNDS GET A FREE CHICK COOLER! First 50 guests to purchase 2 pounds will receive a free Chick Cooler!